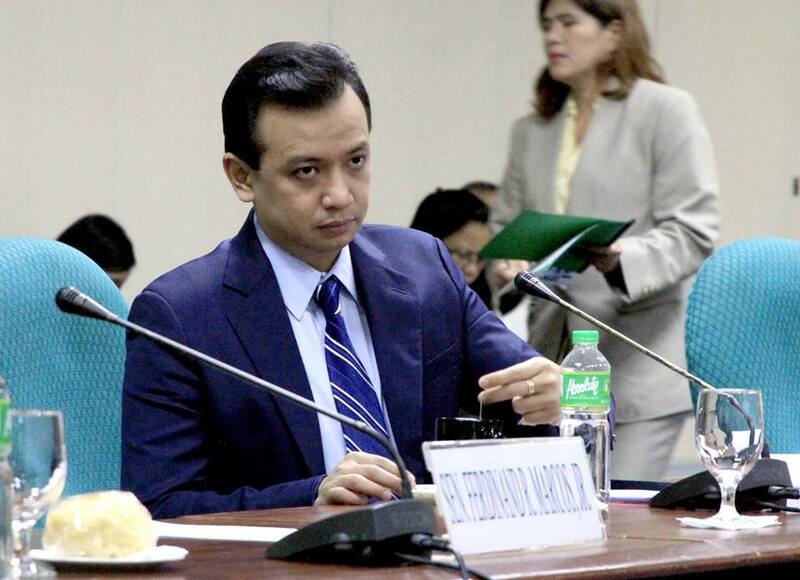 Senator Antonio Trillanes IV is known for his vocal oppositions regarding President Rodrigo Duterte’s way in ruling the country even during the campaigns. A Canadian politician Amir Assadollahi posted an open letter to Facebook about Trillanes stating that he shouldn't be an example to the Filipino citizens. The Canadian politician expresses his disappointment over the Senator's behavior towards the president. Moreover, Mr. Assadollahi also stated that Vice President Leni Robredo, Senator Leila De Lima, the yellow party corrupt political and business oligarchs, the corrupt church leaders, are disturbing and are dangerously alarming. "In addition to all that, I see his hunger for power, deceptiveness and sneakiness and his association with Senator De Lima as her defender of the crimes she has committed disturbing. "I have not seen anything President Duterte has done or doing to be against the majority will of the people of the Philippines and everything he has achieved is an indication that the will of the people are rightfully invested in him - a true elected President of a nation with a vision and mission that majority wishes. "On the other hand, I see Senator Trillanes, Senator De Lima, VP (Vice President) Line Robredo as well as the rest of the fully corrupt and malintented yellow party corrupt political and business oligarchs with their corrupt ownership of the Philippines corporate Media, the corrupt Catholic Church leaders, minion schools leaders, and minion server brainwashed students as to be disturbing and dangerously alarming. "Those people such as Senator Trillanes who see nothing but blind misplaced loyalty to their foriegn masters and bankers who aim to destabilize the security and economic prosperity and progress in the Philippines, and aim to oust President Duterte's government, are the real treat to the peace and security in the Philippines and the region. "The corporate news agencies owned by the political and economic powerful oligarchs see nothing but what their owners tell them to wrote about. They are also the main cause of problems in the Philippines. Not just few days ago, a photographer of ABS-CBN News agency was caught in illegal drugs trade. I only need to wonder how many more of such criminals and corrupt journalist are have penetrated the news agencies and how they see the President Duterte's war of illegal drugs, crime and corruption as a threat to their criminal livelihood in which is solely aimed at destroying the lives of innocent and poor and drag down the society into muddy grounds for them to be the human-body-carpet to be stepped on for their domestic and foriegn masters. "How dare this human dirt, Senator Trillanes is so bold as if he owns the nation and calls the masses of the Philippines who support the vision and mission of their elected President as blinds and sleepy!? "I am a foreigner, a political scientist, and nor sleepy or blind, and I agree with the choice of leader the overwhelming majority of the Filipinos have decided to be their leader and visionary. "Senator Trillanes is just another barking dog that thinks his pack of dogs are better suited for the job, just with one difference, they are just interested to feed themselves as bully dogs tend do act and behave - but he is not even an alfa-dog, and not even can understand the law and the constitution of the Philippines, same as Senator De Lima. Very well said SIr....Is A SHAME to every law abiding citizen of our beloved country the Philippines....and I THANK YOU FOR THIS open letter, let's assure you that this will be SHARED as you wish angain thank you and God bless. 37. Pinalaya ang nakakulong na mga tiwaling opisyal ng gobyerno at magnanakaw na walang silbi sa taong-bayan, subalit ipinakulong at gustong ipakulong ang mga tunay na naglilingkod sa bansa at lumalaban sa katiwalian.